Launched in 1958 by BMC, the Austin Healey Sprite was a small two seater sports convertible that was aimed at the cheaper market below the MGA. 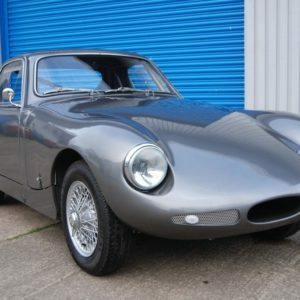 Designed by Donald Healey, the Mk1 Sprite was based on the Austin A35, utilising its 43BHP 948cc A-series engine, four speed gearbox and much of its suspension components as well. The body was a monocoque design with the one piece bonnet hinging forwards and the boot only accessible from the cockpit. There was no boot lid! Side screens were used instead of winding windows and the doors had no external locks, meaning the Sprite couldn’t actually be locked. These little details didn’t deter buyers however with the Sprite proving very popular, selling over 29,000 in 1959. It quickly earned itself the “Frogeye Sprite” nickname thanks to its high mounted bonnet headlamps and its wide mouth grill. With its cute and cheery looks, the Austin Healey Sprite was the perfect weekend sports car for a whole new generation of drivers. By the time production came to an end in 1971 over 350,000 Sprite’s had been built. Originally bought as a restoration project, this 1958 Mk1 Austin Healey Sprite is offered for sale by its current owner due to a lack of time. 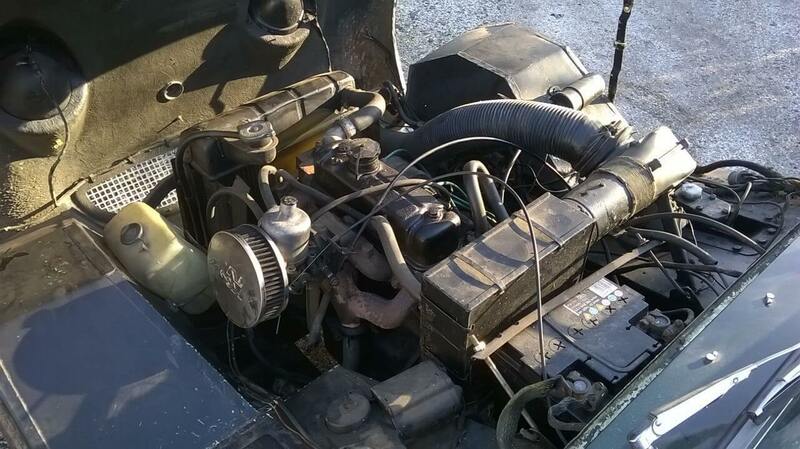 The seller states that it requires restoration but the engine runs and it is driving. 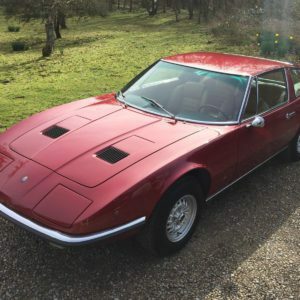 It has a rare fibreglass bonnet instead of the normal steel one and comes with a hard top. It is supplied with its V5 documentation and some old MOTs. 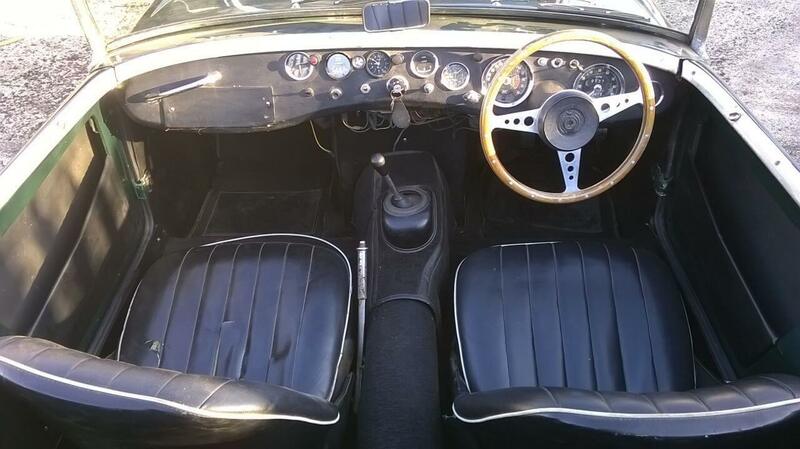 The seller notes that this is a genuine UK car and is not an import which is confirmed by a Heritage Certificate. One of the happiest looking cars you could ever own. Its missing a rear light lens but overall this Mk1 looks straight. The interior is a little scruffy but not too bad. Fixing the passengers seat would improve it a lot. 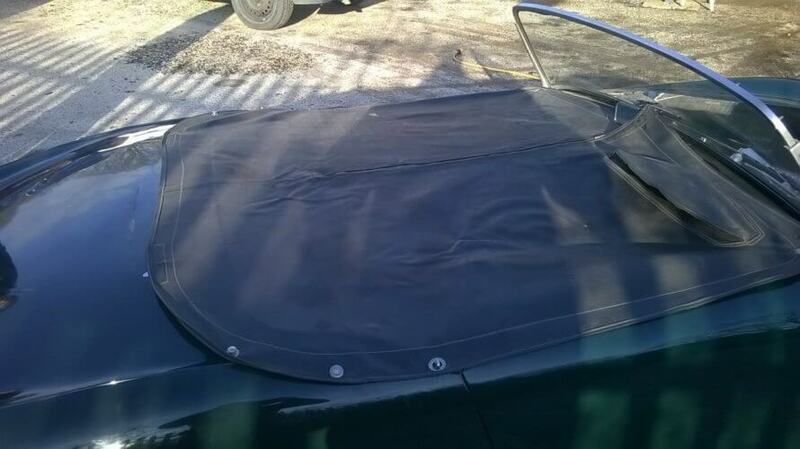 The tonneau cover looks to be in good condition. The hardtop is a nice addition to have for changeable weather. The Mk1 Sprite didn't have the biggest engine but some tuning improvements can add a few more BHP. 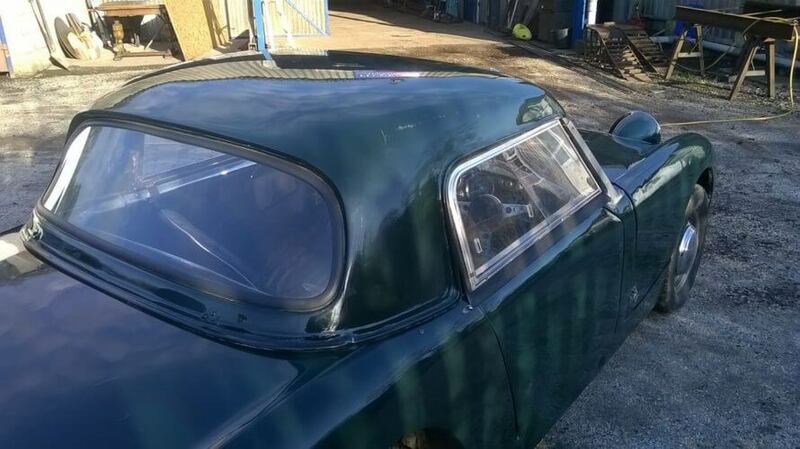 This Austin Healey Sprite looks an interesting project. It does require restoration but everything appears to be all there. The fibreglass bonnet is a nice feature to have, making this little sports convertible even lighter than its steel bonnet siblings. Added to that the inclusion of a tonneau cover and a hardtop makes this Sprite that bit more usable. The bodywork looks to have some scratches and grazing here and there but could polish up ok. The DVLA note that this Sprite was yellow so it may have had a colour change at some point. It lacks a chrome front bumper but does have the chrome overriders on the rear. The rest of the chrome and metal trim appears to be intact. The front grill will need a refurb and the window frame trim would benefit from a good polish on a polishing wheel. Looking at the interior, again everything appears to be all there. We’d replace the seats and replace/restore the dashboard as the current one has a patch on it, which might be covering up a previous attempt to install a radio. The engine bay needs cleaning and would benefit from a tidy up. 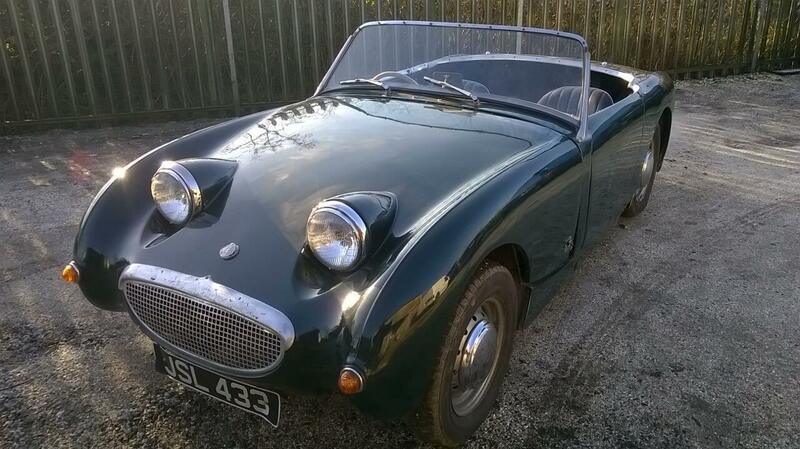 This Mk1 is running on a single SU carb so an upgrade to twin SUB carbs would give this little Sprite a bit power. Provided that the underside isn’t hiding any rust, this Austin Healey Sprite looks like a nice fix it as you drive it project. With summer on the horizon it would make a fun weekend car and with excellent parts availability from the MG community and a loyal following, these Sprites are easy to keep on the road. Prices of restored MK1 Sprites are now over £15,000 so this one looks to be reasonably priced. Its almost worth it just to have that cheery face sitting in your garage. 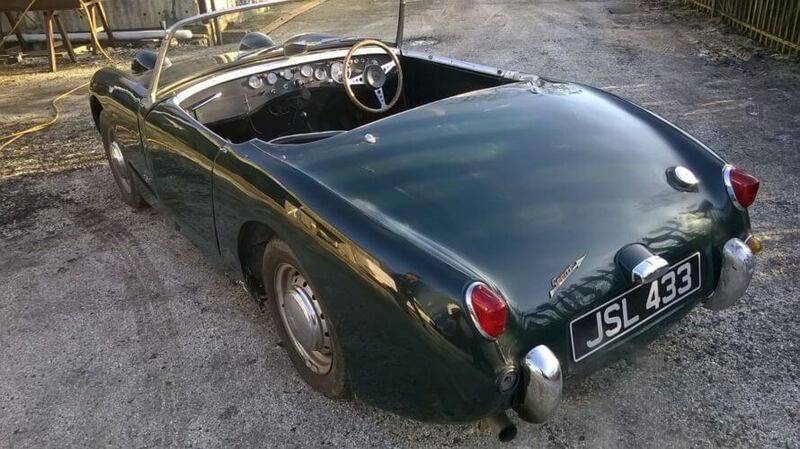 This Austin Healey Sprite is located in Tonbridge Kent. The asking price is £7,750 which is open to offers. More details can be found here on eBay.